Reader Amber posted her organized spice cabinet yesterday in our Dinner's Done group and we were all just in LOVE with it her cool spice rack! Good news is – Amazon has it on sale right now! 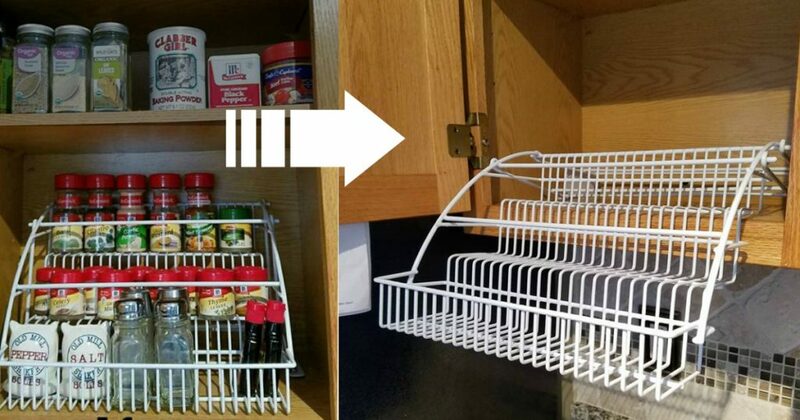 Amazon just dropped the price on the Rubbermaid Pull-Down Spice Rack to only $17.61, which is a big drop from the regular price for $24.99! Pull-down design that gives you visibility to see all your spices. Metal spice rack mounts on the cabinet shelf. 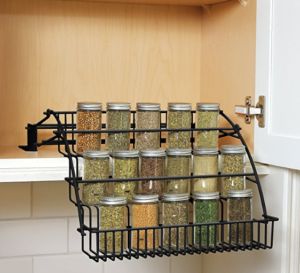 Easily organizes your spices and allows easy access to them.